Breathable French lace on top and front. Natural and undetectable hair pieces. The distinctive design of double layer lace in front and hand sewn stitching prolong the durability. Thin skin on back and sides make it easy to tape and clean. 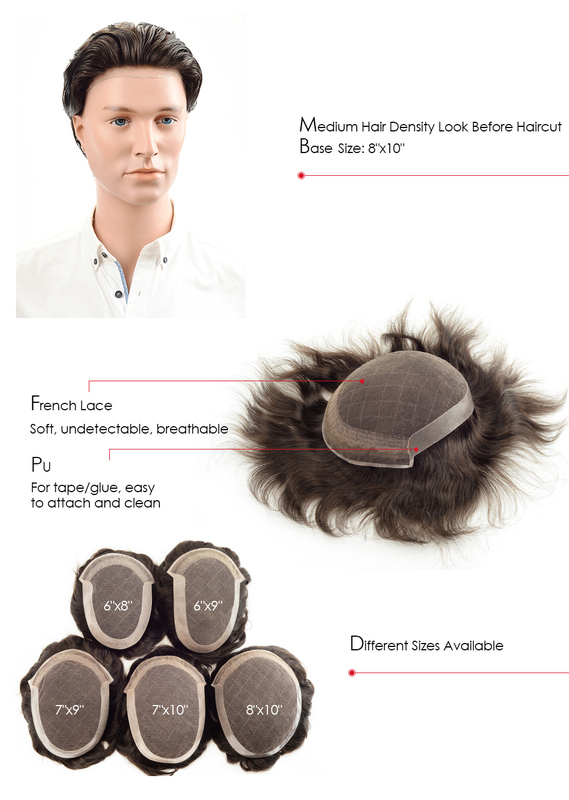 Lordhair’s S8 stock hairpiece for men is great because it has a French lace front with a PU back and sides. The premium design of the double layer front and hand-sewn stitching makes this French lace men's hair system highly durable and easily maintainable. This French lace hairpiece is totally breathable and thus perfect for people who live in a warm climate. The 1/2'' single layer lace front and bleach knots make the hairpiece natural and undetectable. The PU back and sides help S8 stock hairpiece easy to apply on the head. We also ensure immediate shipment after payment so that you receive this stock French lace hair piece within 5 working days. Stock French lace hair systems for men simply cannot get faster than this! 6''x8'', 6''x9'', 7''x9'', 7''x10'', 8"x10"
Soft, breathable, durable, bleach knots in front makes undetectable front hairline, natural looking and beautiful appearance, PU on sides and back make it easy to attach and clean. Instant delivery within 24 hours. If you need to cut the base size or pre-cut hair length before shipment, then takes longer time, usually need additional 3 working days. When you receive the order, if you find there is any problem or you are unhappy with the unit, please do not have the unit cut, styled, colored or washed, but contact us instead. Lordhair customer servie will discuss with you and try to exchange a perfect one. Rest assured that we guarantee 30-day return if the hairpiece is not cut, styled, washed, colored or used. Please cut the excess lace or skin before you attach the hairpiece to your head. 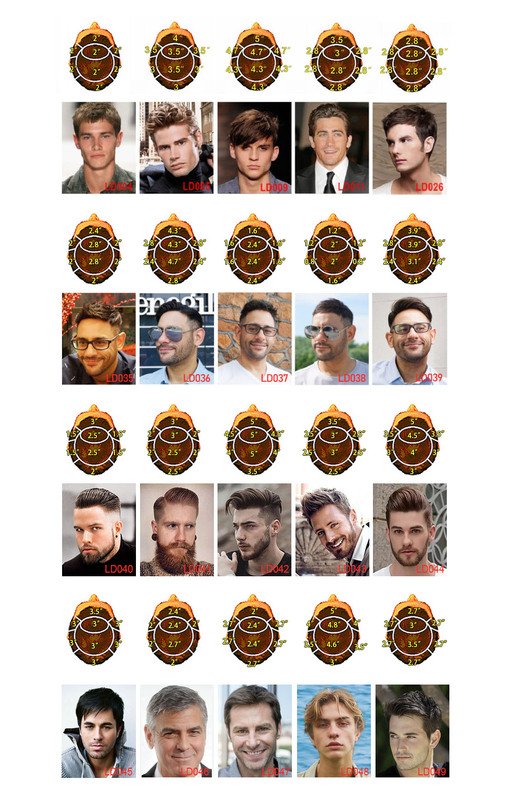 Besides top-quality non-surgical hair replacement systems, men’s hairpieces, and wigs, we also provide top-notch hair cutting and styling service at a small additional price of $20 USD. Wait till we tell you the best part; your French lace hair system (stock) will only take only 3 business days. You just need to send the pictures of hairstyle you like or choose one from the pictures of handsome men below. If possible, please provide the hair length you prefer after cutting so that we get the hair replacement just the way you want it.